Tis the season to be jolly as the saying goes and it’s time to organise the big office party or house party or whatever festive entertainment you’re planning. This is without doubt Guy’s busiest time of the year, not only with corporate and private parties but now more and more couples are wanting a Christmassy wedding. 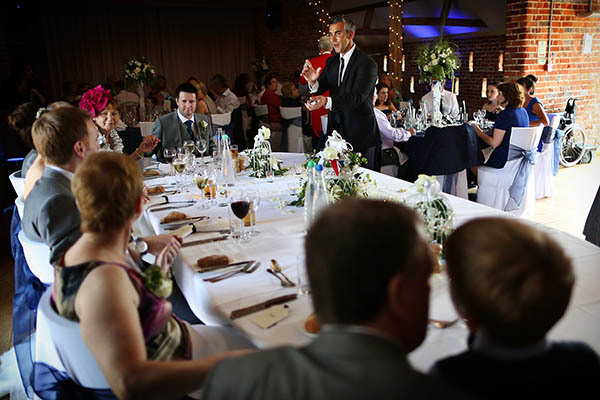 Guy can provide mix and mingle or table magic for any Christmas party you’re planning which will help ensure the event is a real success and remembered well into the New Year. Starting in November Guy Performs at a range of parties big or small and works upto and including Christmas Eve and Christmas day. In past years Guy has performed table magic on Christmas day at major hotels for there guests over the Christmas meal and also visited homes to provide entertainment once the Turkey has been consumed. Fast on the heals of Christmas are the New Years Eve celebrations. Guy is available for New Year’s Eve at lunch time for parties starting early and obviously for any event in the evening before the bells chime. Please note if you are interested in booking Guy any time in December booking in advance is recommended. • Contact Guy for extra information about his act and he will be happy to help.